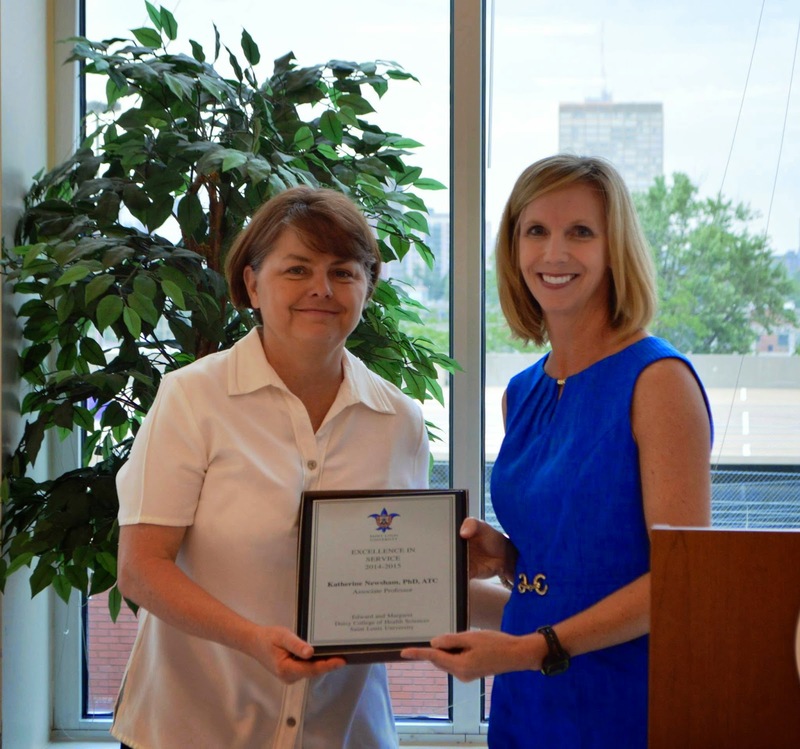 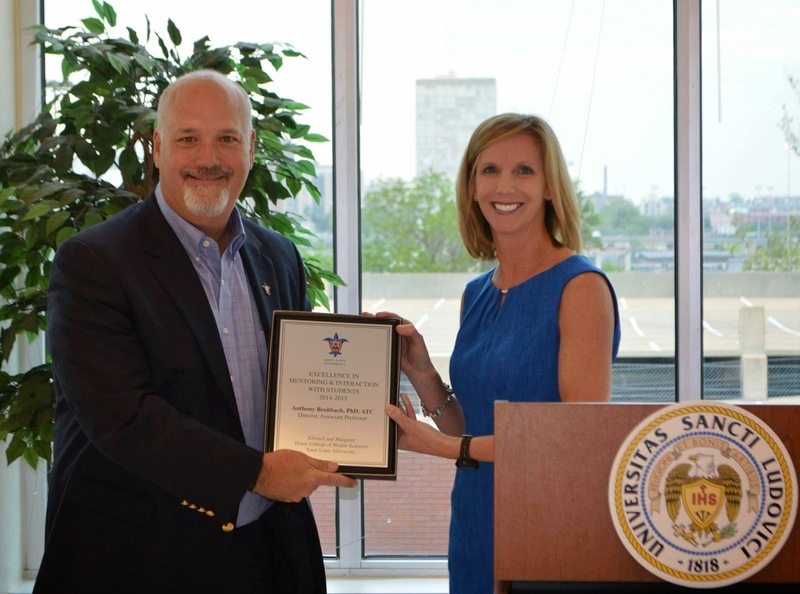 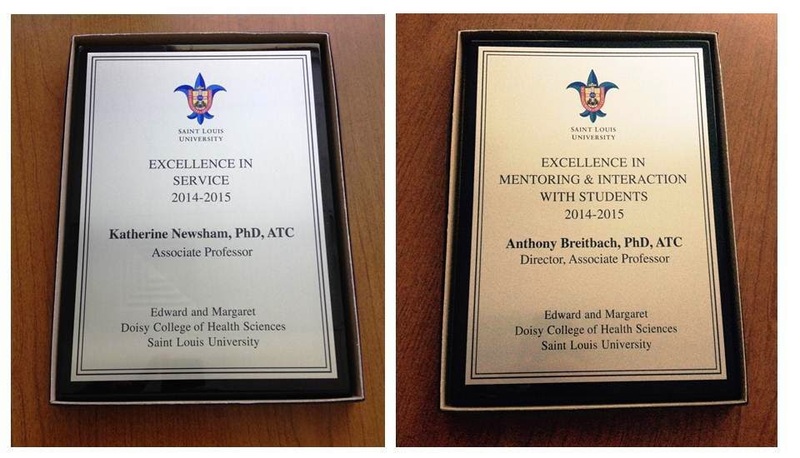 Saint Louis University Athletic Training Program Faculty members Kitty Newsham PhD, ATC and Anthony Breitbach PhD, ATC were honored with awards from the Doisy College of Health Sciences on Thursday, May 7, 2015 in a ceremony held in the Multipurpose Room of the Allied Health Building on the SLU Medical Center Campus. 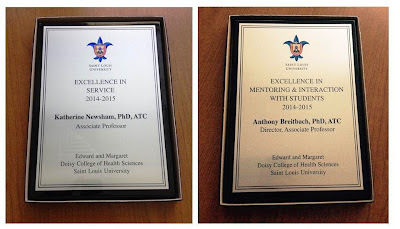 Dr. Newsham received the Excellence in Service Award for 2014-15 and Dr. Breitbach received the Excellence in Mentoring and Interaction with Students Award for 2014-15. 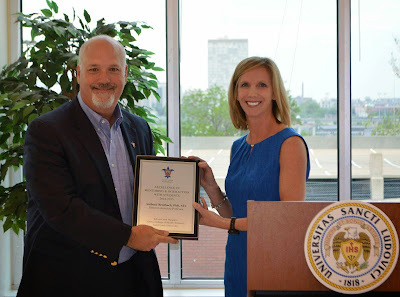 It was also announced at the ceremony that Dr. Breitbach was elected to a two year term as Chair of the Doisy College Faculty Assembly starting in the Summer of 2015.